It’s interesting who the Bible records as the first to hear the good news of Jesus’ birth. It wasn’t a king. Or a religious leader. Or a rich man. It wasn’t to anyone in the center of attention and importance. It was to shepherds. Dirty, smelly shepherds. It’s also notable that it wasn’t broadcast in the day. It wasn’t announced with trumpets on the temple steps as hundreds crowded to offer sacrifices. Or proclaimed in the marketplace in the middle of a busy day. It was night, in quiet isolation. The fields weren’t where important people visited. Especially not at night. And that night the dark field was covered with sleeping sheep and tired shepherds. Just them. Outside the world’s notice. Men performing a wearying task at a wearying hour. Of all the ways and to all the people and at all the times God could have announced His Son’s birth, He chose this way, these people, and this time of night. Luke 2:8-9 tells us, “And there were shepherds living out in the fields nearby, keeping watch over their flocks at night. An angel of the Lord appeared to them, and the glory of the Lord shone around them, and they were terrified.” (NIV) God saw those shepherds right where they were that night. He noticed their work; He noticed them. And He had a message of hope they desperately needed to hear. It’s a message I’ve needed to hear many times. I’ve needed to know that God saw me in the dark. When I’ve felt alone. And in need of a message of hope. As a young mom there were many nights I held crying babies, wondering if I’d ever feel normal again. Would I ever get to sleep through the night, wear clothes without baby drool, or have an adult conversation? I’ve worked late, worried over finances, and wondered when help would come. Did God see me working so hard? Did He see me wrestling with problems or how tired I was? 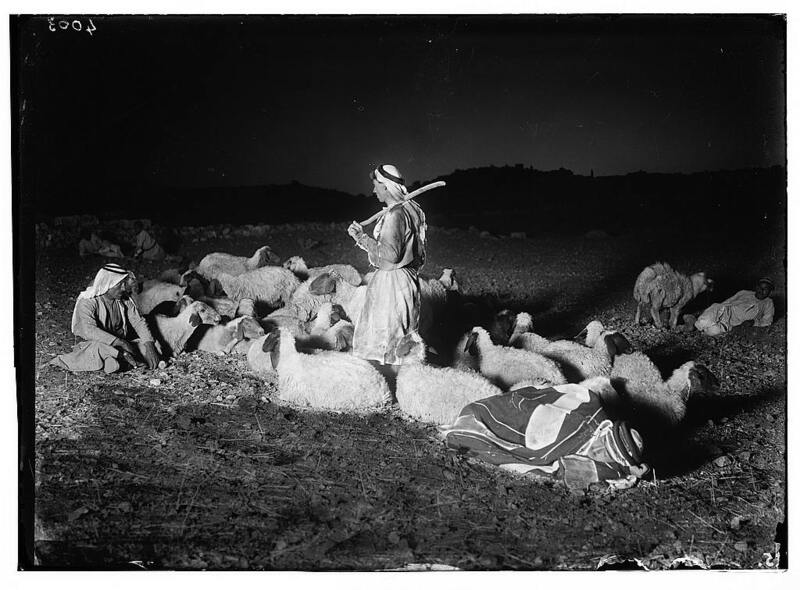 The message to the shepherds tells us God does see our hard work and long nights. And He doesn’t sleep. He doesn’t prefer those in authority. He doesn’t leave us alone. And He has a message of hope for each of us. I see you, rocking your crying baby at 2 a.m., doubting you’ll ever sleep again. I see you, up late studying while the rest of your classmates have fun. I see you, pacing the floor wondering when your teen will get home. I see you, working an extra shift to help pay the bills. I see you, sleeping on the couch fearing your marriage can’t be repaired. I see you, sitting with a friend who received the worst news of her life that day. To you, the news of the angels to the shepherds is yours as well. It was no mistake God sent His angels to the dark fields and to the humble shepherds that night. He sent a message of good news to those who desperately needed to hear it. Today, in your place of darkness, isolation, weariness … God sees you and sends the same message: A Savior has been born for YOU. Heavenly Father, thank You for caring about those who feel alone, forgotten, and weary. I confess I feel like that some times. Thank You for seeing my needs and sending Jesus to be the answer to all of them. In His Name, Amen. Do you ever wonder if God sees you? Trust that He does and spend some time in prayer today. Besides the reasons mentioned in the devotion, why else might God have chosen to announce His Good News to the shepherds?